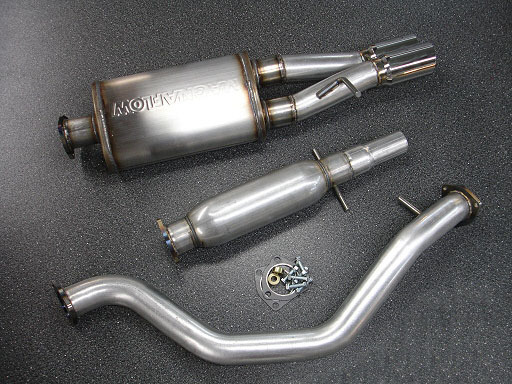 42 Draft Designs' cat-back exhaust system for the Mk4 Volkswagen is a simple modification that delivers substantial results. 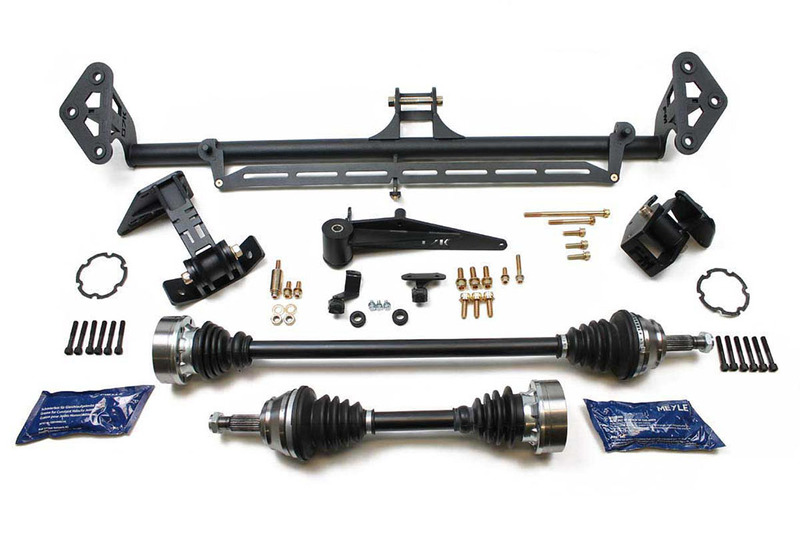 Built right here in the USA, this cat-back system will transform your Volkswagen from a boring grocery hauler to a race-inspired daily driver. 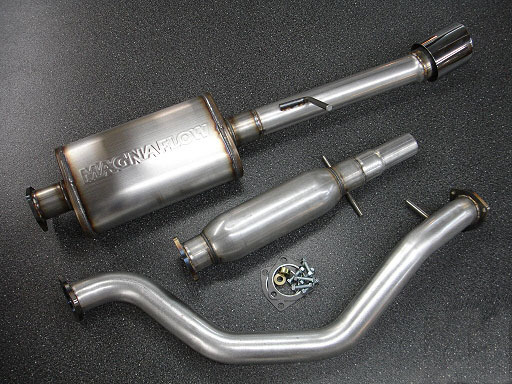 This cat-back exhaust system includes everything necessary to replace your factory exhaust system from the catalytic converter to the tail pipe. Slip-fit systems attach using the OEM band clamp. 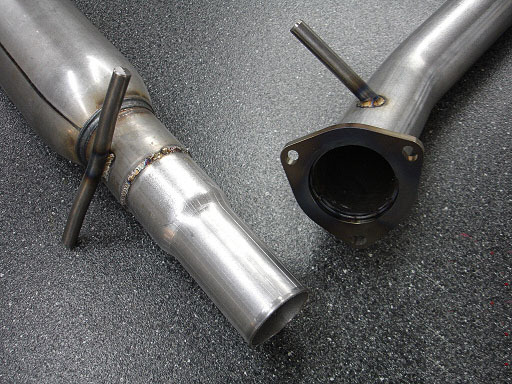 Flanged systems are designed to bolt to our downpipe when available. Four additional options allow this system to be tailored to your tastes. To configure this cat-back system to meet your specific needs please select the appropriate options. 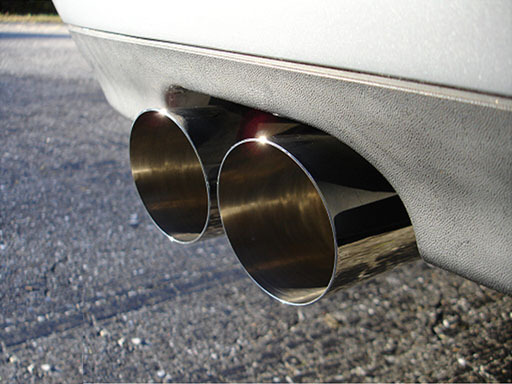 Exhaust tips can make or break a system. We're not taking any chances, so we build our tips in-house and polish them to a mirror finish. Hidden tip systems offer a basic downturn tip, hidden from view. Single tip systems position a highly polished 4" tip neatly in the factory cutout. 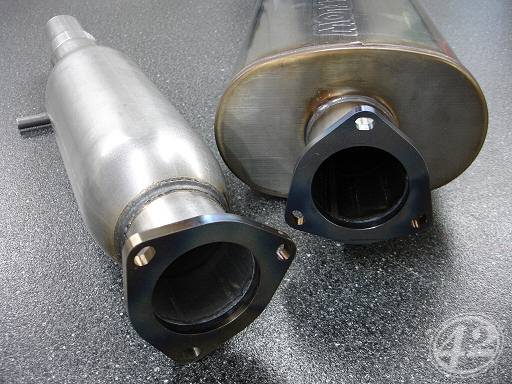 Dual tip systems pair two highly polished 3" tips and hang them accurately under the rear valance. All stainless steel tips are available in single wall and double wall construction to suit the style of every enthusiast. The sound is sporty and refined - not too loud and not a hint of rasp. Compared to stock, the car emits a noticeable rumble at idle. At low rpms and cruising speeds the sound is mellow and defined. The exhaust opens up at full throttle and high rpms with a great tone and not a hint of rasp or drone. Sound varies by motor, though never poorly. We tested various resonator and muffler combinations on each motor before finding the perfect balance. 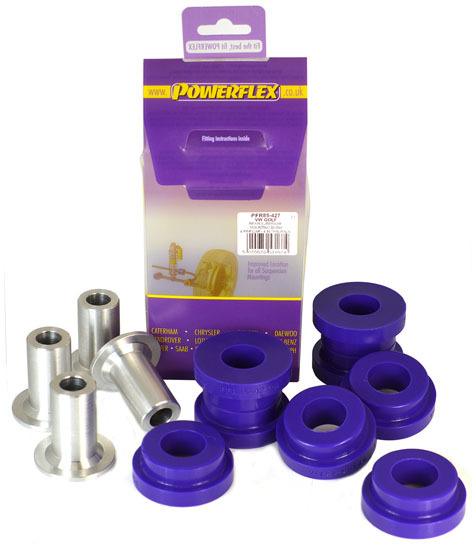 Horsepower and torque gains are strong and immediate, adding power throughout the powerband. for these cat-back systems cannot be universally stated. 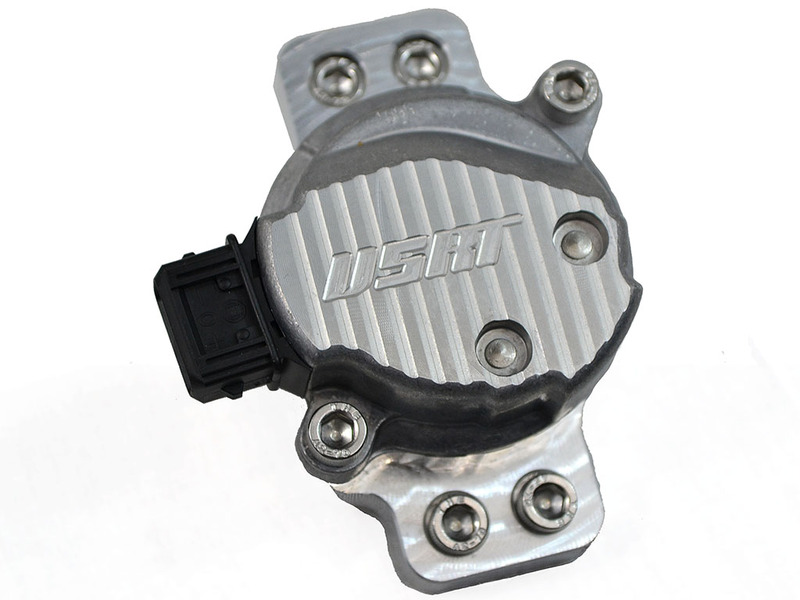 These cat-backs can be installed on a wide range of vehicles - from a bone stock 2.0 to a supercharged VR6. Peak gains depend on your motor type and supporting modifications.